Volt Edge, gives you the edge. Breakdowns, Installation, friendly, reliable and professional electrical service. Cat 5 or 6 cabling for data or phone systems. Coal, Gas or Dust environments. Form Turnkey start up installation, PLC Replacement, SCADA Upgrade. 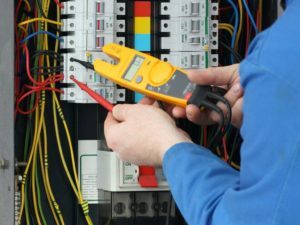 Whether you are in Brisbane or the Redlands Bay Area and are looking to have your electricity system repaired, installed, upgraded or just have a round of safety maintenance and inspection, we specialise in all that. With years of experience and building trust with our clients, our services are impeccable and meet the standard requirements of the electrification body. Our services are not limited by whether you are living in a rented home or your own home. Faults in your electrical system can occur at any time. Breakdowns, Installation, Solar, Hazardous Area installations and Air conditioning. With us, your search for a reliable electrical services company to hire comes to an end. Our Electrical services are very affordable. Most times when people hear of affordable services they worry about compromised quality. For us however, quality and affordability go hand in hand. We offer unbeatable rates that are second to none in the whole of Brisbane Northside and Southside. Our services include but are not limited to general electrical, smoke alarms, swimming pools, switchboard upgrades and rewiring, lighting and fans, data, phone and home entertainment. Yesterday two electricians, Daniel and Kieran from VE-Electrical came to our home to complete several jobs which included installing recessed lighting, fixing and installing exterior lighting, replacing TV cable, and identifying and fixing a problem we had with our hot water system. First they arrived on time. Then they proceeded to review each item they were going to work on and discussed any issues with each installation/repair with us. Then they just went to work. They were well-prepared, professional and completed all the work in a reasonable amount of time and most importantly their work was excellent. This is the second time we have used VE-Electrical and have been very satisfied with their work. I would add for the amount of work they completed, the price they quoted and charged was more than reasonable. 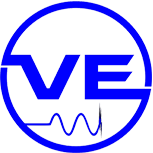 I highly recommend VE-Electrical for any residential electrical work you may need.